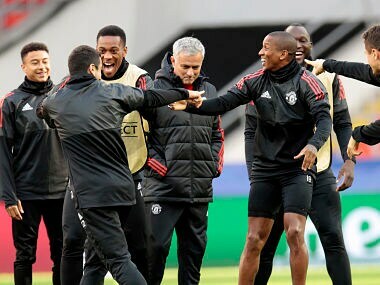 Moscow: Manchester United manager Jose Mourinho has encouraged his players to remain "humble" as they look to take control of Champions League Group A by beating CSKA Moscow on Wednesday. 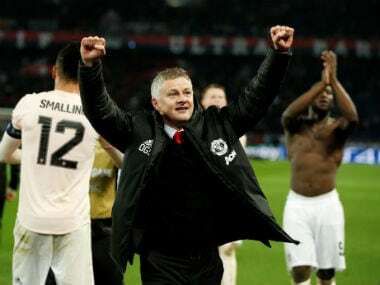 United are level on points with leaders Manchester City in the Premier League after winning five and drawing one of their first six games and some of their football has been dazzling. They beat Basel 3-0 in their Champions League opener, but Mourinho criticised his players for playing "PlayStation football" in the game's latter stages and he warned the wheels could quickly come off if they lose focus. 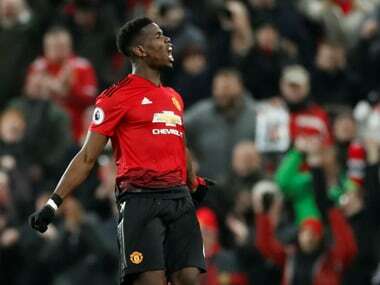 "We cannot guarantee this line of success, but the way to try to keep it is to do what we are doing," said Mourinho, whose side won 1-0 at Southampton in their most recent game on Saturday. "We try to play well and in some moments of the match, if the opponent has moments of superiority, we have to be humble — like we were against Southampton — and cope with the difficult moments of the game. "In the second half we had to be humble. We had to accept that the opponent was in a high and we had to fight hard. "So it's a mixture of our quality -- being dominant like we always want to be -- but accepting the reality of high-level football. When the opponent has a strong moment, you have to cope with it." In-form attacking midfielder Henrikh Mkhitaryan said Mourinho's words after the Basel game had made United's players doubly determined not to let their levels drop even once games are in the bag. 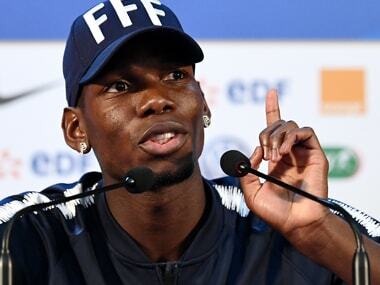 "Of course everyone knows that Jose Mourinho is very demanding and what he said, he's right," the Armenian told United's pre-match press conference at CSKA's VEB Arena on Tuesday. "He didn't say exactly names, but everyone thinks that they've done something bad or done some mistakes. "But we're trying to improve that aspect and play more focused during the whole game and not start doing some fantasy football, as he said, or playing some PlayStation in the last 20 to 25 minutes." CSKA manager Viktor Goncharenko played down the significance of United's absentees, but he thinks his side can cause Mourinho's men problems. "We have a lot of experience and class," said the Belarusian, whose side are currently fourth in the Russian Premier League. "Our task is to find some weak points in our opponents and put some pressure there. We'll face a great atmosphere in a wonderful stadium. "We don't need any additional motivation because we're going to be hugely motivated. While United have a lot of strong qualities, in any game against any opponent, we can change the course of the game. "Our task is to keep looking for chances." Goncharenko is hopeful right-back Mario Fernandes will be fit to play after he was forced off with concussion in Saturday's 0-0 draw at Dynamo Moscow. 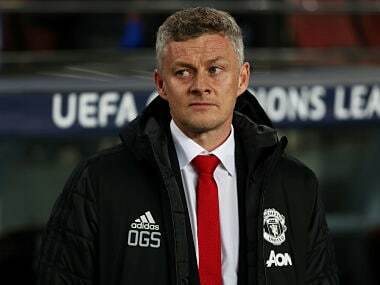 CSKA opened their campaign with an impressive 2-1 win away to Benfica and having come up against the Moscow giants several times in his managerial career, Mourinho feels this is the strongest they have ever been. "CSKA with Real Madrid, with Inter (Milan), with Chelsea, now with Manchester United. So it's something normal in my Champions League career," Mourinho smiled. "Opponent-wise, I think it's the best CSKA that I'm going to play against. I think it's the best team that I face with CSKA as an opponent."